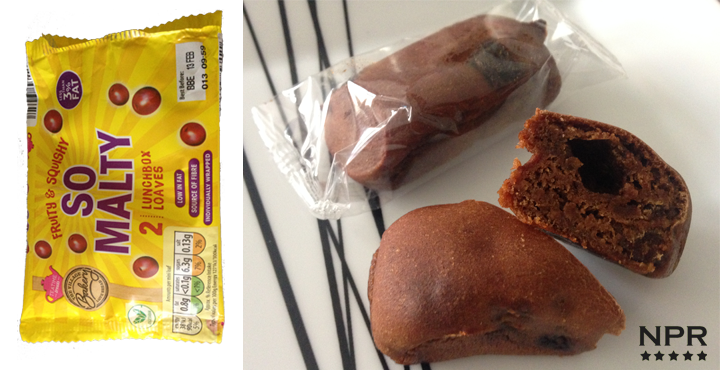 These So Malty loafs are Aldi’s take on the Soreen Lunchbox Malt Loaves. In individually wrapped packs of 2 and measuring 6.5cm X 3cm X 2.5cm, these mini malt loaves taste just like the normal malt loaves from the top brands really….until after a few seconds of the initial first bite and then a more bready less malt flavour taste prevails. Yes, it definitely isn’t as rich as the premium brands and just lacks that rich malty taste and is quite poorly made(big gaps in the loaf) and tastes very cheap unfortunately. Why have you increased the price of your malt loaves by 6p!! !